India&apos;s Leading Independent web development company & Digital Marketing Agency. 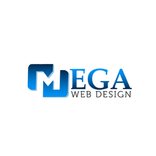 Mega Web Design has helped hundreds of small startups to large multinational businesses providing high-quality website development & designing services as well as digital marketing services. We provide services in All over India like Website Design, Magento E-commerce Shopping cart, Woo-commerce development, etc.